1 Blemished Available: $103.96 This item is available as a Blem/Refurb. These are items that cannot be sold as "New" merchandise and are limited to stock on hand. See the product details for a description of the product's condition. Note: Red stripe on Red/Black helmet may appear to be more pink-ish than red. wanted half helmets for my wife and I for an upcoming Vietnam motorbike trip. 110cc bikes and hot weather made me want a cooler smaller helmet and these seemed to fit the bill. I needed a hot weather option for my shorter rides. Like the style, flip down tinted shield and adjustable fit, as well as pouches for speakers. Some times, I just want a light, open helmet with good protection when slow cruising around destinations. I use full face most of the time, but once there, something a little less obtrusive, but still substantial, can be nice for sight seeing. The Pitboss seems like a nice compromise. I needed a passenger helmet like the one I have already. Also good to have a backup. Harley sells the Bell brand in their stores, so I went with the exact one I already have minus the HD tag. This is my third Bell helmet.I trust them to be a good product and good fitment.Stepped up one size as suggested and will use the dial to adjust to the perfect fit. Used for my children and they love it. Like the style, orange pin to go with my HD 2008 colors, sun visor a plus, good reviews. I ride a cruiser and the GF bought it for me. I already have one and I love it, so now I have a second one for my passenger! I want to try this store out for bigger purchases. We will see how it goes. Brand and known quality. Price point helped. First helmet that didn't make me look like a mushroom rolling down the highway. Looks good, awesome adjustable fit and solid quality. Highly recommend. This is my second Pit Boss. Fits good, feels good, and looks good. I like the flip down shield. I bought this helmet for my wife. I already have this helmet. The adjustable dial fitting is a great feature. I liked the dial adjustment in the back and the colors matches close to my bike. Bell has a great reputation, Drop down visor (would be nice if they had a mirrored option) and adjustment in the back. Helmet doesn't disappoint. I wanted a shorty helmet of good quality with drop down shades. Bells design and helmet sizing is right on point. This helmet is a quality item. ItÂ´s my second buy. I like it. Love it... perfect size & fit. My only minor issue has been with the sun shield and my glasses. Like the look, like the style and the drop visor added on is a nice touch. Have a bunch of helmets and this one fits the colors of both my HD's. Haven't used it on the road yet. Still winter, having quite a few 1/2 helmets though, the dial tightener is a great idea on those windy days on the open areas we ride in at times. That works for sure, tried that and can feel the snug fit. Great idea. Especially while on the road. Looking forward to being on the road with it soon. My head measures 22.50" - 22.75". For the Bell Pit Boss, should I get a medium or a Large? BEST ANSWER: I found these helmits run small.. I purchased a black and red Pitboss helmit which fit ok,but the pinstripe was pink. I returned the helmit for a all black helmit and this one ran very small and I had to return it. Best to go one size up. Get a large and adjust it down with the rear adjustment. Can a larger visor be had for this helmet? BEST ANSWER: No I do not believe Bell sells a larger shield. Does helmet work with J&M communication headsets? BEST ANSWER: Yes it will....I have one on mine. I have another with a Sena 20s system. I don't know. But if there is a communication headset for the Bell Pit Boss, please let me know! I don't know if it's J&M but I did see one for the Pit Boss. BEST ANSWER: I have a 24" head and i needed a XXXL, definitely get a size or 2 up. Get the XL, then you can adjust it as needed, with the dial. It does run small. Size up and adjust it in the rear. BEST ANSWER: Yes it does. I was able to install the wired Harley Davidson system that came with my Ultra Limited. As long as you leave the ear pads in. The ear pads have the speaker pockets in them. I have not tried it with comm device, I guess it could work but it does no seemed to be prepared for it. I don't have a communication device as of yet but it does have speaker pockets to accommodate one. Not worth a damn. I tried it with my Sena. 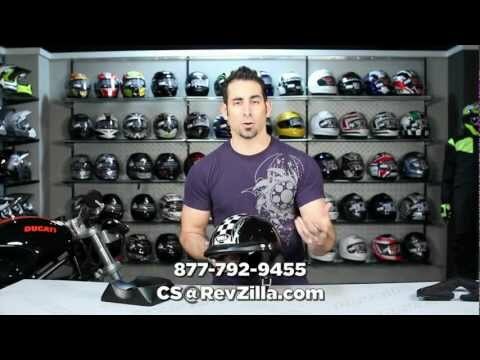 Is the black/grey pinstripe bell pit boss helmet a flat black? Yes, it is flat black. can you wear goggles under the visor? Is there a clear shield that can be put on for riding in the rain? BEST ANSWER: It is not vented but I don't think that would be typical on a half helmet. I recommend going one size up from your normal size. 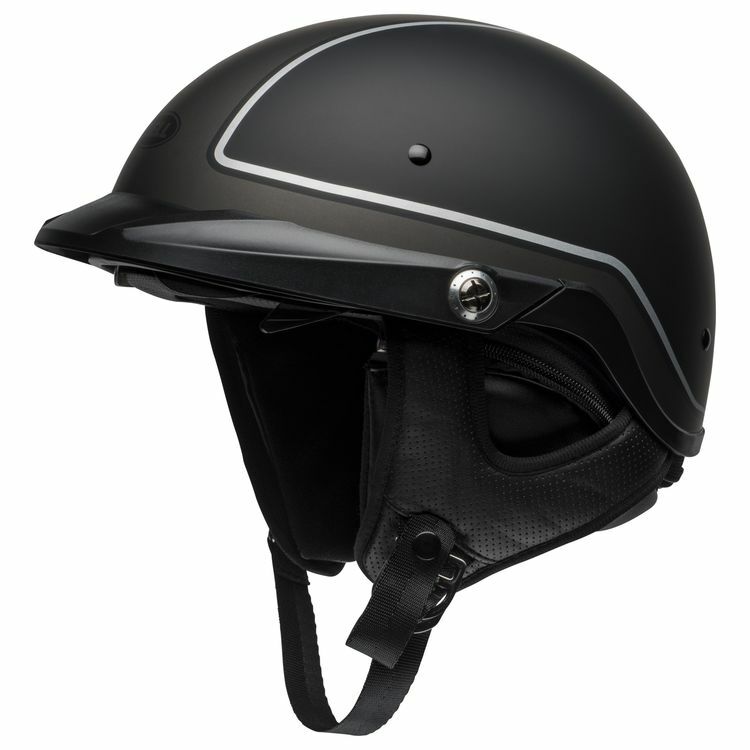 BEST ANSWER: The helmet has a adjustment dial at the back, that allows it to fit a variety of head sizes. I went up 1 size, and the adjustment worked great. Are you able to mail DOT approved helmets to the UK?